Opinions4Good (Op4G) is getting in on the trend. In recent years, Op4G has welcomed Canadian and British citizens to the Op4G panel. We have also gained recruitment experience and capabilities in Australia, Brazil, China, Japan, and a host of European countries (including France, Germany, Italy, Spain, and Russia). So, as of 2018, Op4G is truly a global company! 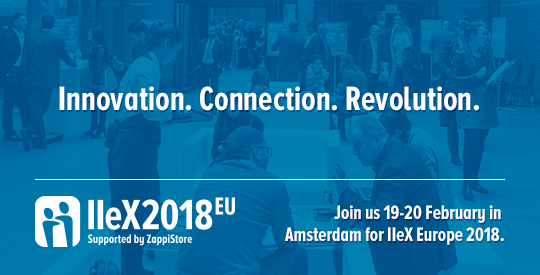 Opinions4Good will showcase our international reach at the IIeX Europe 2018 conference in Amsterdam (February 19 - 20). Op4G will not only exhibit at the event, the “largest gathering of future-focused insights professionals in Europe”. We will participate in the private client meeting program, in which conference organizers arrange private meetings between companies and possible market research partners (like Op4G). In 2018, Op4G will also further expand our European operations. Op4G’s focus on Europe reflects the potential of this massive market, with a population of over 740 million and a GDP of approximately $20 trillion. To sum up, as the world is globalizing…so is Op4G! From our humble beginnings in New Hampshire, USA, we’ve expanded our capabilities to 5 continents and now own and operate proprietary panels in 7 countries! Op4G is proud of our international reach, which we will promote at events like the upcoming IIeX Europe 2018 conference. But we refuse to rest on our laurels. In the coming year, we will strive to expand even further. Europe, here we come!